The claimed ARAI mileage: Skoda Octavia Diesel is 21.0 kmpl | Skoda Octavia Petrol is 16.7 kmpl. The claimed ARAI mileage for the automatic variants: Skoda Octavia Diesel is 19.5 kmpl | Skoda Octavia Petrol is 15.1 kmpl. 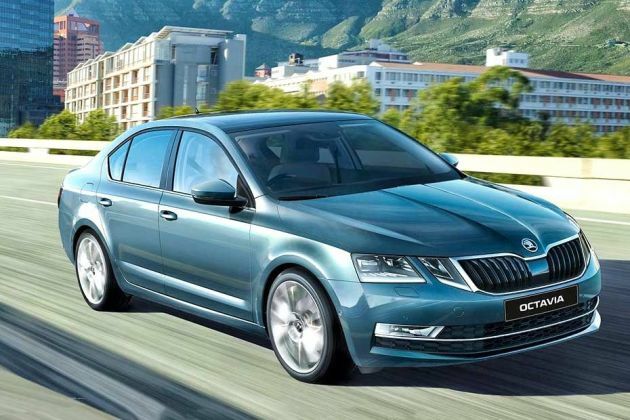 Skoda Octavia | Pros, Cons and Should You Buy One? Does this facelift help the Octavia bridge the gap between premium and luxury offerings in a better way than the previous model? Hi Vishal, Go ahead with Toyota Corolla Altis. Better performance and features. Spare parts availability and maintenance cost is better in comparison to VW Jetta and Skoda Octavia. Hi Sharath, Go ahead with Toyota Corolla Altis. Better performance and features. Spare parts availability and maintenance cost is better in comparison to VW Jetta and Skoda Octavia.